Recep Tayyip Erdogan has declared war on Syria, potentially triggering NATO to ally with Turkey. If the US honors its agreements with NATO, this means war against Syrian ally Russia. The coronation of Trump, who is open to working with Putin, cannot come soon enough if our civilization is to avoid nuclear war and survive. The Pluto-to-Pallas transit is the indicator of "ethical crisis". It is the transit under which life-altering ethical decisions (including the decision to initiate violence) are made. 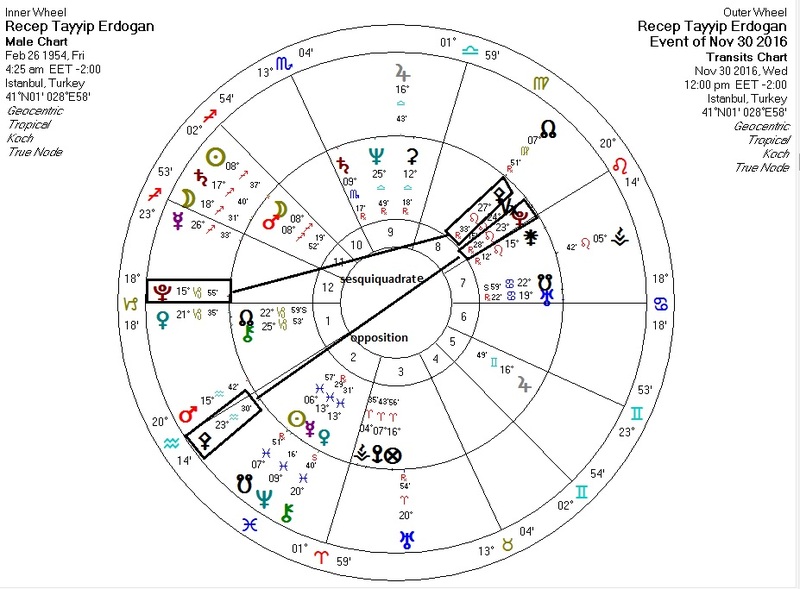 Here it is on Erdogan's chart.